Microsoft said it uses updates issued in the latter half of the month to beta-test non-security features. Some users are adventurous, and seek to be the first to use new Windows 10 features via Microsoft’s Windows Insider program. Others aren’t, and just want a stable system to use on day-to-day basis. If you’re one of the latter, don’t go clicking Windows Update’s “Check for updates” button willy-nilly, or you may unwittingly join the ranks of the Windows pioneers—even if you were simply hoping for a patch to fix a problem with your operating system. In a blog post this week, Microsoft revealed that those users who click the “Check for updates” button (Settings > Update & Security > Windows Update) are opted in to testing new Windows features on a one-time basis, if they happen to click the button during the third and fourth week of the month. Microsoft calls those updates “C” and “D” releases, and issues them to those who are “seeking” them when they click the update button. Separately, Microsoft said it also issues “on demand” releases that don’t follow a standard schedule, in order to provide critical fixes. “They are used in atypical cases where we detect an issue and cannot wait for the next monthly release because devices must be updated immediately either to fix security vulnerabilities or to solve a quality issue impacting multiple devices,” Fortin added. The problem with issuing these so-called “C” and “D” releases is that occasionally they introduce new problems. In late November, for example, Microsoft issued a patch that caused Surface Book 2s to crash with BSODs, throwing a “thread not handled” error. 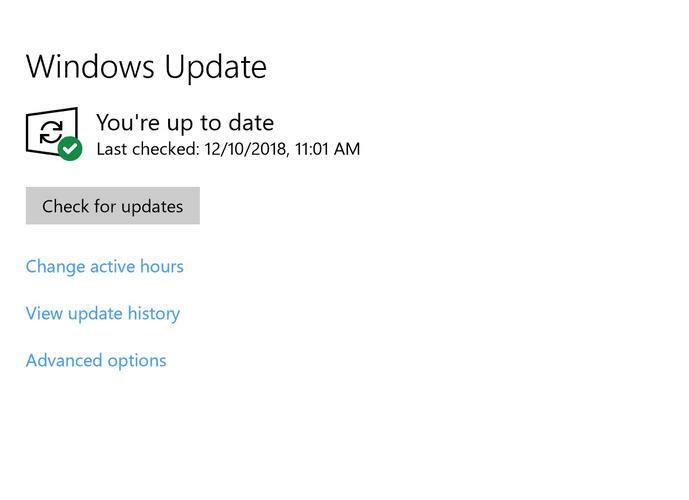 That patch was issued in the last week of November—meaning that, according to Microsoft and How-To Geek, it would only have been issued to those who went looking for it via the “Check for updates” button. Microsoft rescinded the patch, but the damage was done. What this means to you: Microsoft’s blog post notes that it has to protect millions of devices each month, and the best way to do that is to acquire data assessing how well its patches are functioning. What’s not clear is whether these “optional” “C” and “D” releases are actually known as options. Instead, it seems that users seeking out a patch for Windows between regular updates should proceed with caution.